I recently got some new stamps from Market Street Stamps, including a coffee set. 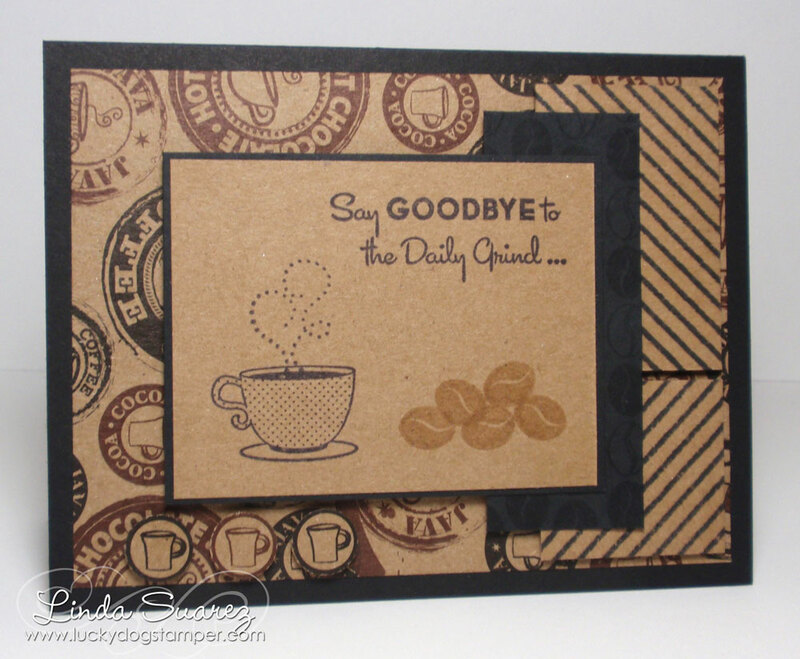 While I think coffee stamp sets are really cute, I just didn't think I'd use them much. But this set sold me right away when I saw it included a Happy Retirement sentiment. It seems I need to make more retirement cards these days. Oh, and it works great as a masculine card too! So cute! Great retirement card! 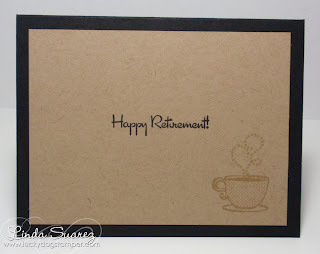 What a great retirement card! Why do we associate working with coffee, I wonder? I love the colors too. Great for a man-card. Thanks for joining us at Freshly Made Sketches! Cute sentiment and stamps! 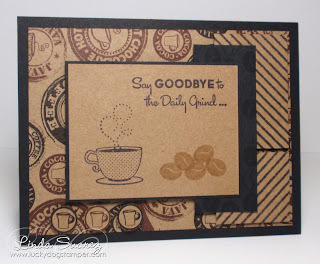 I am a huge coffee lover...those stamps are super cute and perfect for retirement! Thanks for joining us at Freshly Made Sketches.